Our VIP Mr.Bunny! 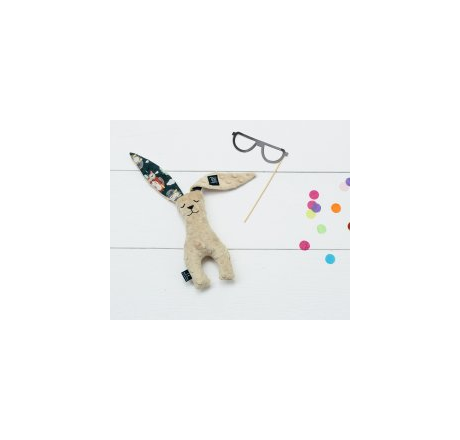 Mr Bunny begs you to embrace him and play with him. He likes it when you play with his feet or his ears. In fact, he likes it too much when it is drooling or biting it! 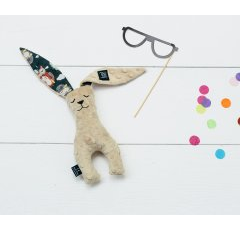 Choose from a wide range of colors and designs and adopt your own rabbit! The product is handmade and made with the finest quality materials. It is send to a lovely La Millou linen bag, decorated with a La Millou fabric. 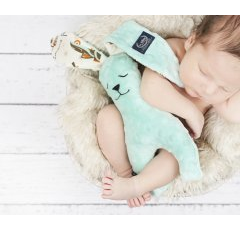 An original and elegant gift for the baby, for birthdays or any other occasion. 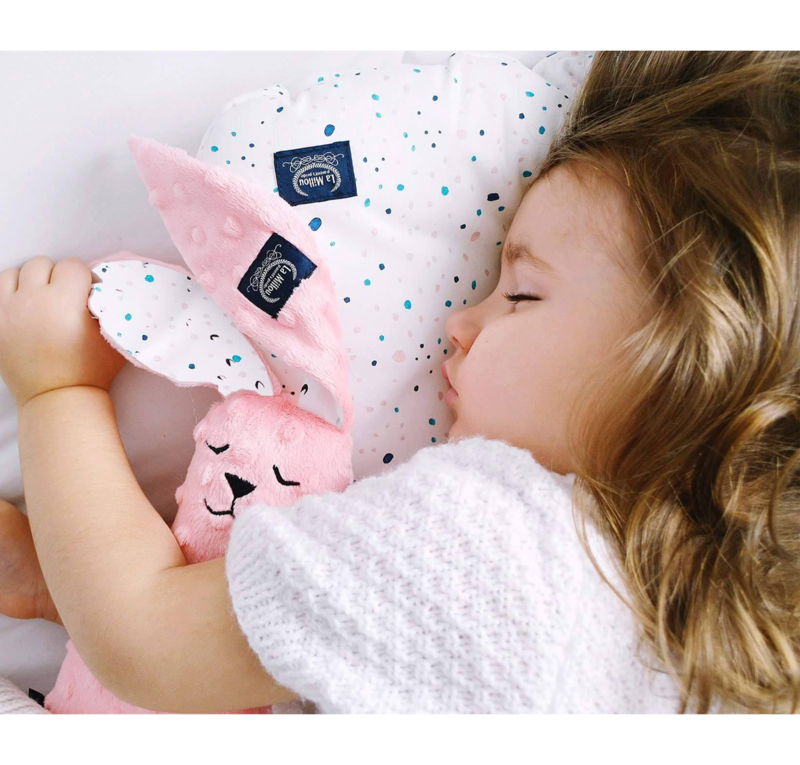 High quality cotton fabrics, Eco-Friendly Prints classify La Millou products in Premium - a luxury category of baby products. 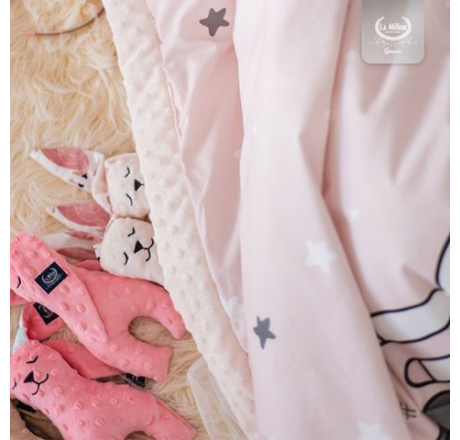 Nowadays, adult blankets combine the quality of baby products, high aesthetics and above all are hypoallergenic. Fabrics, threads and internal filling of products are in accordance with OEKO-TEX 100 certifications. What material is the stuff inside? An anti-allergic, absorbent material that allows the skin to breathe, according to EKO-TEX 100 certifications. In addition, the material is sewn with the outer fabric so that the shape of the product does not change after each wash.
All La Millou products are cleaned in the washing machine as indicated on the tabs. 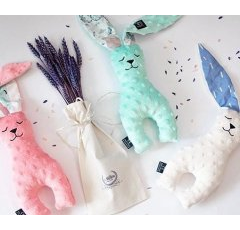 La Millou is a Polish company, which has been producing linen, soft toys and children's accessories since 2012. It has already achieved a strong position in the European market thanks to the high quality, healthy products it produces. What distinguishes it is the unique, original design, but also its ecological consciousness. La Millou products are certified and safe to use from their first birthday. They come in a sneaker, ecological and multi-purpose gift box.